Hello! My name is Nikolay Ivanushkin (@nick-iv). 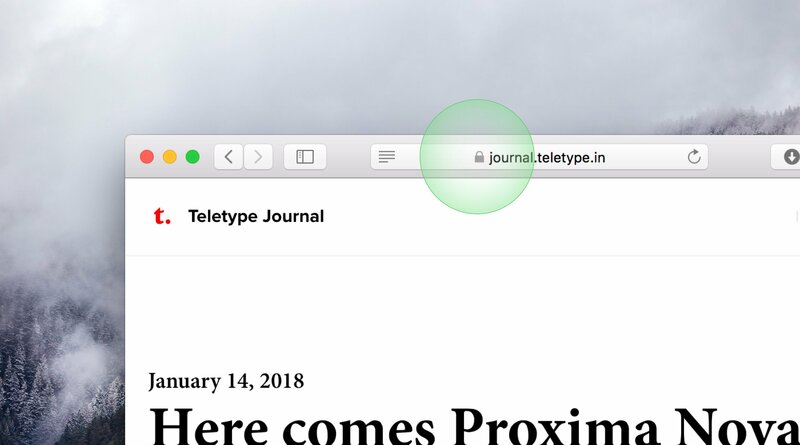 I&apos;m a lead developer in Teletype. Today we added one of the most important features — encrypted HTTPS protocol for all custom domains. Large groups of people, ranging from intruders and ending with the state, want to stole your data. HTTPS protects you from this. New Web standards (for example, HTTP 2.0) assume only encrypted data channels. In fact HTTPS is the mandatory standard of sites in 2018. All you need to do is connect the domain. And for a very short time (1—2 minutes) your domain will be accessible via HTTPS protocol, for free and forever. Each browser informs about the security of the site with different ways, mostly a gray or green lock icons. Do not worry about updating HTTPS certificates, they update automatically when the time comes.